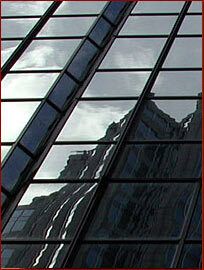 Thirty-four years of comprehensive real estate asset management experience. This involved major acquisitions, dispositions and development. Significant results have been achieved in portfolio management, value-added transactions and divestiture programs. Mr. Giroux has been a real estate director for four major U.S. corporations which controlled real estate in excess of $4.5 billion dollars. Acquisitions total in excess of $165 million. Development projects total more than $250 million. Negotiations for joint ventures are greater than $150 million. Work in the real estate business has been across the U.S. and Canada. Profits generated for corporations have been greater than $25 million. Property appraised or directed to be appraised exceeds $2.0 billion. Managed portfolios up to 54 million s.f. First Capital Financial Corp., Marathon U.S. Realties, Inc. (a C.P. Ltd. subsidiary), Montgomery Ward, Homart, A & P; McDonald’'s Corp., Fleet Financial. M.S., Real Estate &, Urban Development Planning –, 1972. American University, Washington, D.C.